Charlie Parker is back, worn and torn, but in one piece. He has come to Boreas, Maine to recuperate from a near death attack in his last book. He just wants to heal, but life has something else in mind for Charlie. Charlie Parker is very gifted detective in more ways than one; Charlie has insights that normal humans do have have into the spirit world. Mysterious happenings abound in this small seaside town and the town’s people include Charlie in those mysteries even though they have taken him in as one of their own. The author, John Connolly, is a master at setting up a mystery with twists, turns, and paranormal elements; this book is one of his best. Charlie has a 6-year-old daughter, Sam; Sam communicates with her dead half sister. His neighbor, Ruth Winters and her daughter Amanda are newly arrived in town, and Ruth has secrets; secrets that require warnings from a mysterious person and he is watching everything. A dead body has washed a shore, was it murder or suicide, a family is killed in their home; their teenage son is missing. Two others in Florida are killed in terrible ways, how are they involved in these mysteries. There are strangers watching, and their intent is evil. 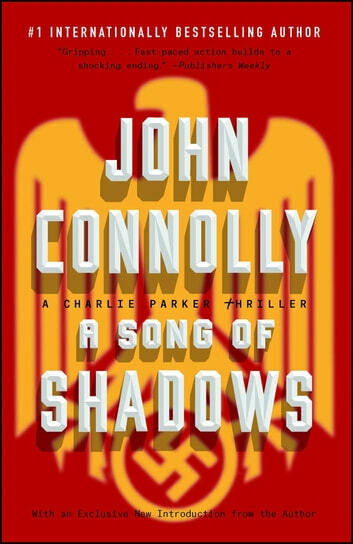 How will Mr. Connolly connect all the dots; never fear he has it all in hand as he brings all the dots and plots together to form a cohesive tale of heinous Nazi war crimes and criminals, murder, evil, families torn apart, ghosts/spirits, death and justice. When I discovered the identity of the Jigsaw Man I was floored; I couldn’t believe it. Mr. Connolly created so many twists and turns; the plots just keep coming and your attention will never lag. I was gripped from the first page to the last. This book kept me guessing and I was very wrong in my conclusions. Mr. Connolly created a very enjoyable read you will not want to put down. I highly recommend this book to anyone that likes a well-written crime mystery with paranormal elements. I received this book from the publisher and Netgalley in return for an honest review. I just finished reading this book and I simply loved it. Now I cannot believe that I must wait another year for the next one. I will just have to re-read the old ones I guess. 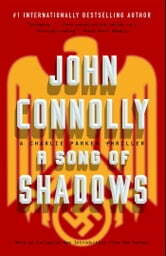 I hate to go more than two months without reading a John Connoly book. After reading all the books in this series ; this ranks among he best. But now we are in withdrawals while we anticipate the next book on the adventures of charlie parker and all his very interesting frinds and foes.